Ross completed his PhD at Bangor University in 2008. Although his PhD research examined the role of imagery in motor skill performance, his research interests now focus on personality and individual differences, with a particular interest in the role of personality (especially narcissism) in performance contexts. He has received research funding from the Wellcome Trust, the Sports Council for Wales, and the Hospitality, Leisure, Sport and Tourism Network. Ross is an Associate Fellow of the British Psychological Society (BPS), is a chartered Sport and Exercise Psychologist with the BPS. He has worked with a number of high level squads (including Welsh Yachting Association, Welsh Canoe Association, Welsh Athletics Association, and the Golf Union of Wales) and athletes (professional golfers and divers). 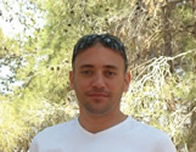 Stuart is a lecturer in Sport Psychology within SSHES. He graduated with his PhD titled “ Anxiety, self-confidence, self-efficacy and performance: some challenges to current thinking” in 2006. His PhD was part funded by British Gymnastics where he worked as a sport psychologist from 2000–2005. Stuart is still active within the BGA. His main research interests are; self confidence issues; anxiety and performance relationships; mechanisms underlying performance catastrophes; goal setting, importance and self efficacy relationships; and engagement and disengagement issues. 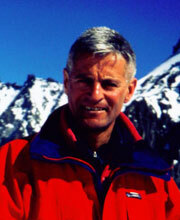 Stuart is also a BASES accredited sport psychologist. Lew was one of the first professors of sport psychology in the United Kingdom and is one of a very small number of people to have given keynote and invited addresses at all the major sport psychology conferences in the world. He has over 100 full length research publications and served three Olympic cycles as chairperson of the British Olympic Association’s Psychology Steering Group (from 1989 to 2000). His central research interest is the psychology of very high level performance, including the effects of stress, mental toughness, motivation, the utility of psychological skills and strategies, transformational leadership, and teamwork. He has been responsible for over £1 million pounds of grant capture and has equal applied experience of working across military, business, and sport domains. 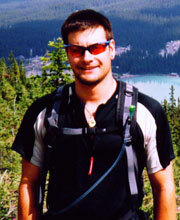 Tim was awarded an MA from Queen’s University, Canada in 1995 and a PhD from Bangor University, UK, in 2001. Tim has two elite performance research foci. The first concerns how performance can be maximized under stress. The second concerns the development of a model of optimal human behaviour that has high-risk environments at its centre. Tim has worked with elite sports performers (e.g., Olympic and World Championships athletes), has been the Director of psychology for British Gymnastics Association since 2000, and delivers stress management and consultancy workshops for international stock-exchange business corporations (e.g. Pernod Ricard) in both French and English. 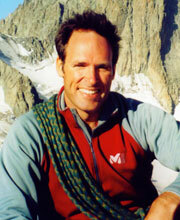 He loves being active in the mountains, yoga, trying to stay fit, and the occasional glass of good red wine. 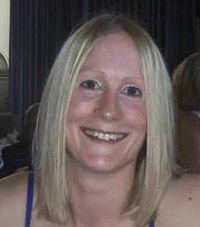 Nichola gained her PhD from Bangor University in 2000 and is a senior lecturer in sport psychology. Nichola conducts research in three main areas: the cognitive and motivational effects of imagery, from both a behavioural and neuroscience perspective; group dynamics in particular transformational leadership, cohesion , collective efficacy and communication; and interventions with patient populations. Nichola is currently and Associate Editor for the Journal of Applied Sport Psychology, and an Editorial Board Member for the Journal of Imagery Research in Sport and Physical Activity. Nichola has been a BASES accredited sport and exercise scientist (psychology) since 1999, a BPS Chartered Psychologise since 2000, and has extensive applied experience with International athletes from a range of sports. Having obtained his undergraduate degree from the University of Birmingham, James completed his postgraduate training (both MA and PhD) at the University of Western Ontario, Canada, under the supervision of Prof. Craig Hall. He is a regular presenter at international conferences and has published numerous research articles focusing on mental skills (specifically, self-talk and imagery) and group dynamics (e.g., team cohesion and leadership) in both the sport and exercise domains. His research has been supported by the Association for Applied Sport Psychology (AASP), England & Wales Cricket Board (ECB), City Group Services (aka Man City FC), and the Higher Education Academy (HEA). Both sport and mainstream psychology journals regularly call on his services and he currently fulfils editor (e.g., Journal of Applied Sport Psychology) and editorial board member (e.g., Journal of Sport and Exercise Psychology) roles at selected journals. James returned to his native North Wales in 2004 to accept a lecturing position, was Deputy Head of School – Teaching and Learning between 2008–2013, and currently leads Employability within the School. In his spare time, he enjoys road cycling and off-piste skiing. Having obtained his PhD within the field of Psychomotor Behaviour from Bangor University in 2005, Gavin spent 2 years as a Postdoctoral researcher within the Motor and Behavioural Science Research Group at the University of Leeds. Whilst there, he produced research into the mechanisms of control and disorders of co-ordination in conditions such as hemiplegic cerebral palsy and Developmental Coordination Disorder. Gavin currently works as a lecturer in Motor Control and Learning at School of Sport, Health and Exercise Sciences, Bangor University. His research interests include visuo-motor control with a focus on feedback processing, motor programming, skill learning and the attainment of expertise. He regularly presents his research at international conferences and as guest lectures within both the sport and the health sectors. Gavin recently received funding from the European Social Fund to conduct research into enhancing the motor skills of individuals with learning disabilities. He is a keen sports man and is passionate about applying the research within the field of Motor Control and Learning to help individuals and teams accelerate towards the attainment of expertise. Andrew obtained his undergraduate degree from Bangor University in 2007 and his PhD from the University of Birmingham in 2010. His research investigates psychophysiological responses to competition / stress, and the psychophysiological response patterns that characterise optimal human performance. He has also conducted neuroscience research designed to train golfers to control their levels of brain activity before executing putts. Andrew has worked with professional golfers. 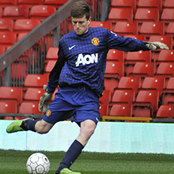 In his spare time he enjoys playing and watching most sports, particularly football, golf, tennis and table tennis. Amy earned a PhD in Psychology at the University of Oregon, USA, and prior to that a BSc in Mechanical Engineering & Materials Science at the University of California, Berkeley. She came to Bangor in 2000 to work as postdoctoral researcher in the Bangor University School of Psychology, and she joined the School of Sport, Health and Exercise Sciences as a lecturer in 2002. Her research interests include cognitive and perceptual processes in Parkinson’s disease, functions of the basal ganglia, and the role of attention in perceiving and anticipating actions. 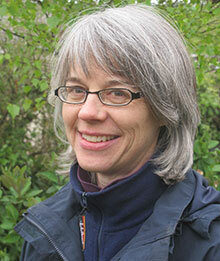 Most recently her research has focused on interactions between motor processes and emotion. In particular she and collaborators in the School of Psychology are investigating how the fluency of motor actions influences the emotional state of the actor. They have demonstrated that increased motor fluency is associated with positive feelings, even when the actions are mundane tasks such as picking up and moving household objects. Moreover, observers merely watching the fluent action also experience positive feelings. Continued research is investigating how the positive emotion associated with motor fluency might facilitate skill learning, as well as how motor fluency influences overall affective experience. After completing a P.G.C.E. in Secondary Physical Education at the University of Southampton, Vicky returned to Bangor to complete her Ph.D. in the field of Psychomotor Behaviour. She is now working as a Lecturer in the School of Sport, Health and Exercise Sciences, Bangor University. Her research interests centre around motor control and learning; more specifically, the utilisation of verbal instructions in directing attention effectively and the processes underlying human movement to improve motor performance and skill acquisition in applied settings. Vicky is a keen basketball player and coach, and is currently working with the U18 Girls Wales National Team. Eleri obtained her undergraduate degree from Liverpool John Moores University in 2006 and her Masters degree from Bangor University in 2007. Following this Eleri completed a Leverhulme funded PhD, in 2013 at Glamorgan University. Eleri currently works as a bilingual sport psychology lecturer in SHES. Her research focuses on performance anxiety, and in particular exploring the process goal paradox, and more recently measurement and conceptualization of anxiety in sport. Other research areas include mental skills training for coaches, bilingualism in sport and exploring personality factors in extreme exercise environments. Eleri previously worked at Sport Wales and has supported a number of athletes from a variety of sports including; football, rugby, badminton, judo, swimming, sailing, athletics and dressage. Matt gained his first class undergraduate degree, Masters degree, and PhD from Bangor University. Matt has two research foci. The first concerns the motives for, and benefits of, participation in high-risk sport. The second pertains to the development of Super-Elite performance in Olympic sports. In these lines of research Matt has worked with some of the UK’s best expeditionary mountaineers, as well as Olympic medallists, and Tour De France winning cyclists. Matt rode professionally as a mountain bike trials rider for ten years and continues to enjoy riding, climbing, and any opportunity to get out into the mountains. Ben completed his Undergraduate study in Sport, Health & Physical Education BSc at Bangor University, achieving a first class honours in 2014. During the term that followed, Ben began a 4 year PhD studentship with the England and Wales Cricket Board, supervised by Professor Lew Hardy and Dr Gavin Lawrence. The research examines the biographical development of ‘super-elite’ and elite cricketers and follows on from the UK Sport Great British Medallists project. Specifically, the study aims to identify the extent to which practice and training histories, along with demographic factors influence the pathway to the top in cricket. The goal of the project is to begin identifying players that have a high probability of being successful at international level. There is also a significant applied emphasis to the studentship which sees Ben’s work informing selection meetings across the England Development Programme, along with the utility of Talent Testing, scouting, and performance statistics. In his spare time, Ben enjoys all aspects of sport, particularly football. He also enjoys travelling, including exploring the hills and returning to his family roots in the West of Ireland. 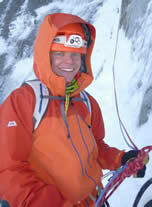 Will graduated in 2014 from Bangor University with a first class hours degree in Geography, having completed a dissertation titled “Decision making in Scottish avalanche terrain”. The psychology behind the way in which different people use the mountains led Will to IPEP where he is working on a KESS funded PhD in collaboration with Mountain Training UK, supervised by Dr. Ross Roberts and Prof. Lew Hardy. Will is currently working on two separate streams of research. The first, "Developing excellence in outdoor provision: Enhancing training pathways for outdoor qualifications" aims to increase the number of suitably trained and qualified outdoor instructors. The second follows on from his undergraduate studies and aims to better understand the psychological factors influencing decision making in the high-risk mountain sports. Most of his spare time is spent in the mountains, running or climbing. Itzhak has extensive hands-on experience working with elite athletes, military personnel, and business clientele from a diversity of backgrounds, cultures, and ages. He worked for three years as a full time Sports Psychologist for the Bney-Yehuda Football Club, one of the top soccer youth academies in Tel-Aviv, and assisted athletes from the Israeli National Judo team, as well as other professional sports. Since 2012, he has been part of the Behavioral Therapy of New York’s private practice team, and has worked with a diverse range of World Level karate, soccer, and fencing athletes, as well as Wall Street traders and start-up teams. He has served as a guest speaker for Ben-Gurion University in Israel and frequently led parent-group seminars. In his work he implements a range of methods developed throughout his career, including mental skill training, bio-feedback, imagery, and more. He teaches clients to improve their mental strength and gain a quiet, non-judgmental mindset in order to maximize their potential. This is Chin Wei’s second stint in SSHES following an extremely rewarding year in the department’s highly-rated MSc programme for sport and exercise psychology. Chin Wei is currently working on a PhD that focuses on the areas of leadership and narcissism. He aims to further the current understanding of the temporal aspect of narcissists as leaders and the potential mechanisms behind it. In between his time in Bangor, Chin Wei spent 3 years as a sport psychologist in the Singapore Sports School, where he has gained valuable applied experience working with elite youth athletes. Chin Wei has also been actively involved in volunteer work since his undergraduate years in the University of Bath. In 2007, he was part of the IDEALS UK Sport initiative that partnered local NGOs to provide a combination of sport coaching, life skills education and HIV/AIDS awareness for underprivileged youths in Zambia. Recently, Chin Wei has also conducted youth athlete workshops at the inaugural Youth Olympic Games Culture and Education Programme in 2010. Another area Chin Wei is particularly keen on is the social aspect of anti-doping research where he was awarded the WADA Young Investigator’s Award for social science research in 2010. His involvement in anti-doping research also allowed him to travel to the 2011 IAAF World Championships to collect data for a doping prevalence study. Harry completed a BSc (Hons) in Psychology from the University of Manchester and an MSc in Cognitive Neuroscience from University College London. After completing his masters, Harry worked as a researcher in the Motor Control Lab at UCL, studying the role of rewards in skill learning and has presented his research findings at the annual Society for Neuroscience conference in Washington. Harry is currently studying for his PhD, funded by a 125th anniversary scholarship. In his research he applies neuropsychological theories of personality to understand performance under pressure. When not studying, he’s normally outdoors finding ways to get muddy. Chelsey completed a BSc in sports, health and physical education, and an MSc in applied sport and exercise psychology at Bangor University, before returning two years later to begin a PhD. During her two years away from Bangor, Chelsey was working towards her BASES (British Association of Sport and Exercise Sciences) accreditation in elite sport with basketball, ice hockey, and biathlon squads to apply the knowledge she has learnt to help improve performance. During this time she also worked with several Team GB squads, UK Sport, and the ECB in order to better training monitoring through the use of an online training diary. Chelsey’s current line of research is looking at how and when self-efficacy may exert negative effects on performance. After Tommie served in the military for 14 years, he came to Bangor University in search for answers regarding personality and performance. 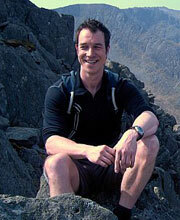 He completed both his BSc Sport Science (Outdoor Activities) and MRes degrees at Bangor University. 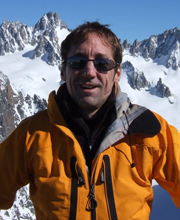 Tommie is currently studying for his Ph.D. researching the darker side of personality and performance in extreme environments. Tommie is an enthusiastic supporter of the French rugby team, and he is at his happiest when he has a cup of coffee in his hand. Leanne is working on a joint project with Lew Hardy, Ross Roberts (School of Sports, Health, and Exercise Sciences) and Paul Downing (School of Psychology) to study mental resilience. Leanne comes most recently from the MSc programme on War and Psychiatry at KCL. Her PhD is funded by the MoD with the research title Neurocognitive processes underpinning different aspects of mental resilience. The project is a multidisciplinary approach to understanding mental resilience in military personnel, combining a psychometric approach to understand the multiple dimensions of mental resilience and measuring individual differences in these dimensions. The research is using fMRI to determine the neural networks that underpin mental resilience. graduate responsibilities, he enjoys playing and watching sports especially tennis and football. 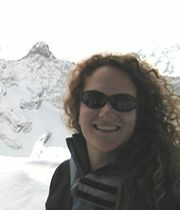 Leonie’s PhD is supervised by James and Lew Hardy and funded by the England and Wales Cricket Board. Her research is investigating group dynamics within cricket, focusing particularly on group processes and stress. It is a four year PhD and involves working in an applied capacity, possibly with the England women’s academy, throughout. Leonie studied Sport Science and Social Science at Undergraduate level, followed by a Masters in Sport and Exercise Psychology, both at Loughborough University. Previously she was working as a Research Assistant and Associate Lecturer at Southampton Solent University.